William D. Phillips was born in 1948, in Wilkes-Barre PA, and attended public schools in Pennsylvania. He received the B.S. in Physics from Juniata College (a small, church-related, liberal arts college in Huntingdon PA) in 1970. He did his graduate research at MIT, receiving his Ph.D. in 1976. 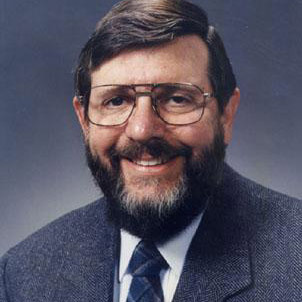 After two years as a Chaim Weizmann postdoctoral fellow at MIT, he joined the staff of the National Institute of Standards and Technology (then the National Bureau of Standards) in 1978, where he is now the leader of the Laser Cooling and Trapping Group in the Quantum Measurement Division of NIST's Physical Measurement Laboratory. He is a Fellow of the Joint Quantum Institute, a cooperative research organization of NIST and the University of Maryland, and is a Distinguished University Professor at the University of Maryland. Dr. Phillips is a member of the National Academy of Sciences, the American Academy of Arts and Sciences, and the Pontifical Academy of Sciences. The research group led by Dr. Phillips has developed techniques for manipulation of matter with light. Among the group's activities are cooling gases to less than a millionth of a degree above absolute zero and using these cold atomic gases for a variety of applications. In 1997, Dr. Phillips shared the Nobel Prize in Physics "for development of methods to cool and trap atoms with laser light.."